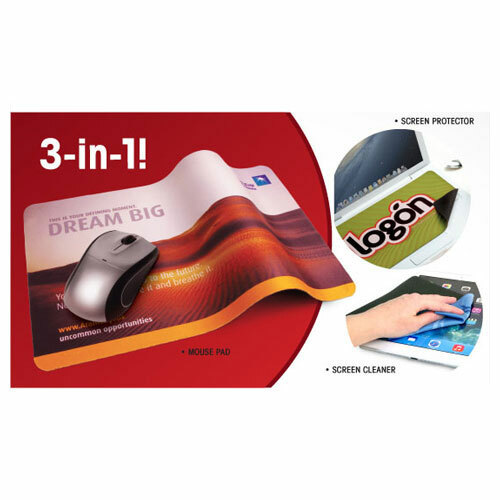 Our 3 in 1 custom printed microfibre mouse mat is more than just a simple mousemat. 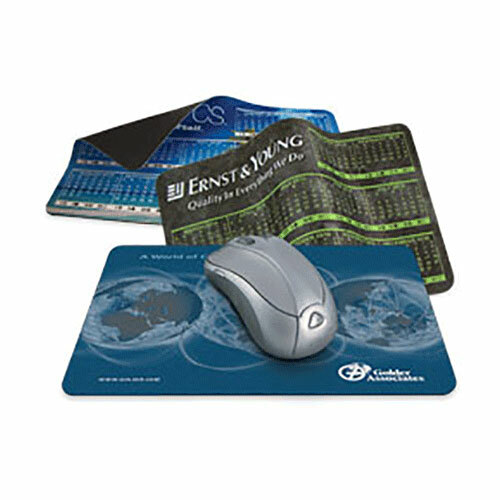 They can also be used as a lint and static free screen cleaner and screen protector. The ultrathin microfibre construction means they can be stored on the keyboard when your laptop is closed, protecting the screen. 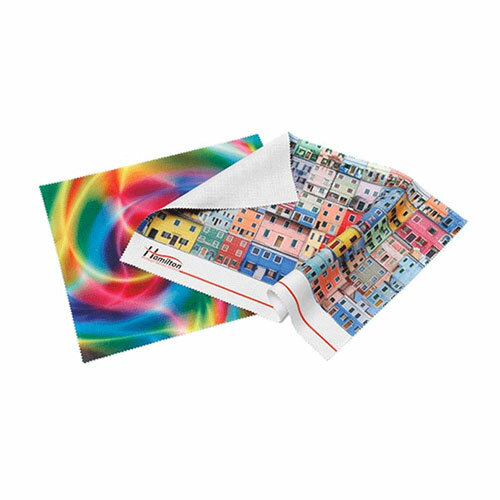 Manufactured from high quality, washable, microfibre with a non slip backing they provide great tracking as a mouse mat and your logo, message or design can be printed in full colour, ensuring a high quality finish. Pricing shown is for a full colour design on a standard sized/shaped mat.